This is the software that shipped with the Logitech QuickCam line of products. It set up, configured and controlled the webcams, as well as provided fun tools such as Video Effects. 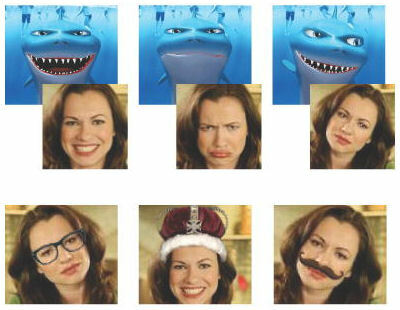 Video effects were avatars that followed and mapped the expressions on the user’s face to a variety of characters. Props, such as eyeglasses, hats, noses, etc. were also provided as video effects. 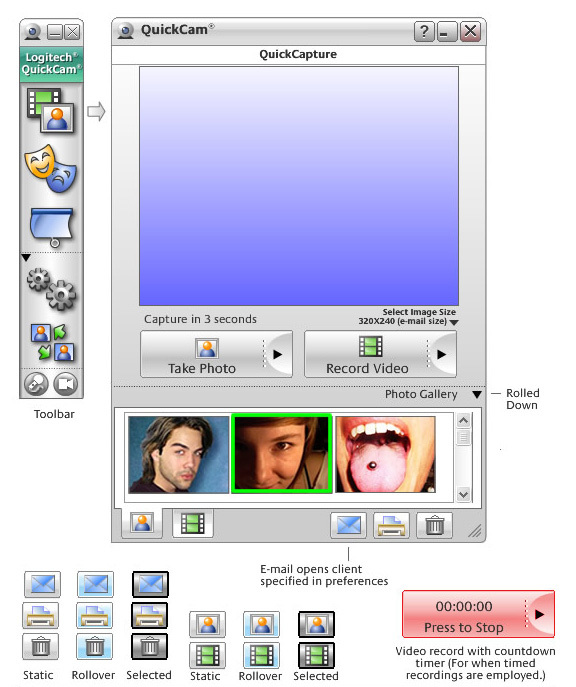 This software was designed to work within the Windows XP interface. 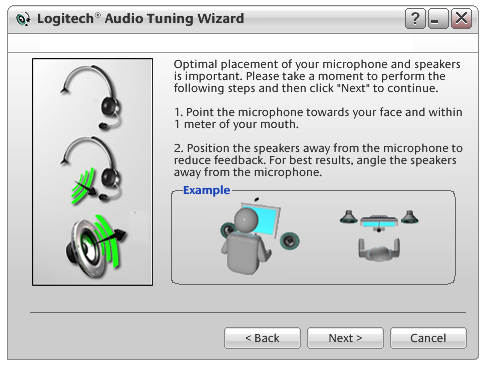 One of several screens used to tune the sound of the webcam. The Quickcam could also capture video. This was the interface controlling that feature. 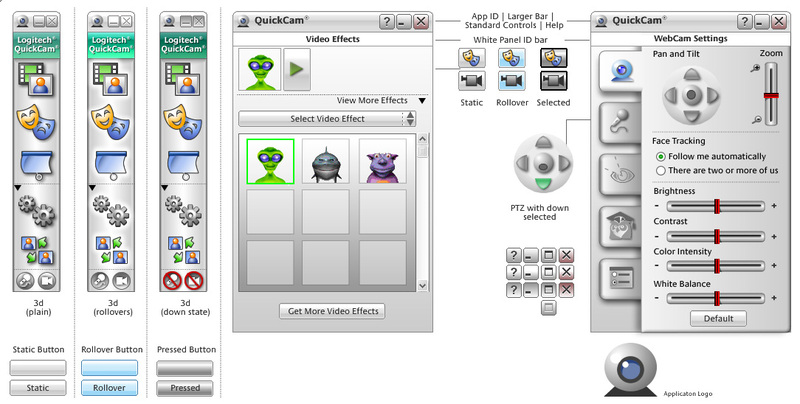 Some of the more complicated video effects required a calibration with the user's face so subtle expressions could be detected and translated to the avatar's movements. 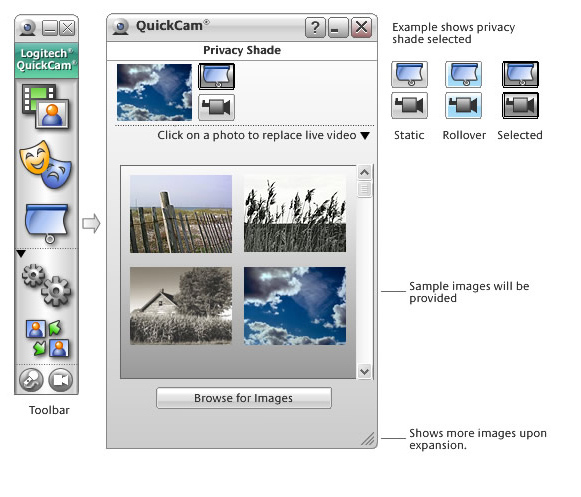 The privacy shade was an option for the user during a video call. Similar to a "mute" this feature allowed a photo to be shown instead of a blank screen. Some examples of face mapping.